In today’s post, the focus will be on Lloyds Bank which, if we look back into the archives of Financial Regulation Matters, is proving to be a consistent source of newsworthy stories. Back in February 2017, when the largest U.K. banks were declaring their financial results for the previous year, we discussed how Lloyds’ results were somewhat of a ‘silver lining’ in amongst a whole host of poor results from their competitors. Then, on the basis of this positive rhetoric that was beginning to surround Lloyds, we looked at how the Bank’s return to private ownership caused neoliberals to rejoice at the process of the state providing support but the supported entity eventually returning to private ownership. Yet, staying in the archives, we can see that all is not what it seems. We discussed how Lloyds’ exposure to Payment Protection Insurance (PPI) claims was not over, and also how the bank has been handling the HBOS compensation situation particularly poorly. In this post, the focus is on how these two negative elements have been developing recently, with both inferring that the success story of Lloyds’ return to private hands was a very short success story indeed. The first component of the post – PPI claims – comes on the back of some positive news for the bank. It was reported today that the bank has reported its largest half-year profit in over 8 years, with its rate of profit rising by 4% to £2.5 billion, although this was below City expectations. However, this news was accompanies by the news that the bank has set aside a further £700 million to compensate people who had been mis-sold insurance policies, on top of an extra £283 million to compensate those who were ‘mistreated’ whilst in mortgage arrears. This extra billion pounds, which takes the bank’s total outlay so far to an incredible £18 billion, has been designated to cover ‘reactive claims’ which the bank expects to number around 9,000 per week in the run-up to the August 2019 deadline for complaints. Yet, the Telegraph reports that the bank, in addition to this £1 billion, have put aside a further £540 million for ‘misconduct charges’ which, according to the newspaper, contains £100 million to compensate the victims of the HBOS fraud. The last we time the fraud was discussed here in Financial Regulation Matters, we discussed how Lloyds had been criticised for failing to meet its self-determined deadline to compensate the victims, with only one victim being compensated so far. However, that particular component had a new development recently, one which will likely see the saga extended. With reference to the HBOS fraud and the compensating of the victims, we have discussed how the British TV personality, Noel Edmonds, is leading the public charge against Lloyds for the compensation process, after his company had fallen foul of Scourfield’s fraud. Yet, Edmonds’ claim for more than £70 million seemed at odds with Lloyds’ estimates of a total compensatory fund of £100 million. On Tuesday, Edmonds raised the stakes by increasing his claim to £300 million, stating that ‘I am advised that given the trajectory of the businesses in the period before the criminals destroyed Unique Group and my other commercial interests, £300 million is actually a conservative figure’. 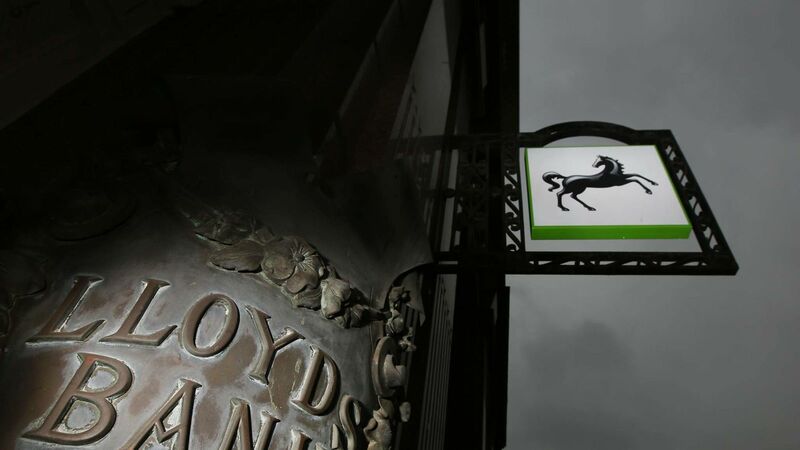 Whilst this development seemingly extends the collision course that the two parties are on, further revelations from Edmonds suggest that Lloyds’ wish of ‘moving on’ from their recent troubles may have to wait a little longer. Edmonds added that his legal team ‘now have documentary evidence to support the view of Thames Valley Police, the Judiciary, and the CPS, that the HBOS criminality extended far beyond the “Reading 6”’, with Edmonds continuing that ‘this explains why Lloyds created the secretive review process in an attempt to limit their liability to a very small number of victims’. If Edmonds’ claims are true, particularly in relation to obtaining documentary evidence, then it is likely that Lloyds’ internal review will not count for much – there will need to be state-level investigations; Edmonds’ proclamation that the process is like ‘trying to plug an active volcano with a cork’ will hold true if this supposed evidence comes to light. Furthermore, if this evidence has been obtained, it is important that Edmonds pursues the case in the courts instead of settling because, with Lloyds promoting itself as the bank for SMEs and Edmonds insisting that the problems that cumulated in Reading are actually systemic, it is important that the true nature of the bank is revealed before other SMEs are potentially damaged. The bank was lauded for being the first to return to private ownership after being in receipt of tax-payer funds, but this demonstrates the sentiment developed by neoliberals within society. The real issue is that this bank is being proven, on a weekly basis now it seems, to be inherently transgressive, with billions upon billions of pounds having already been spent to compensate those whom they have harmed, and with many more billions still to be spent. If we remove ourselves from the short-term narrative that seems to keep everything and everyone in their place, then surely the cultural processes that facilitated such widespread transgressions still remain – how could they not? What, in reality has changed since the Crisis? In reality, all that has changed is that the environment surrounding the bank is not as facilitative as it was in the lead up to 2007; that culture still remains, and that culture is demonstrated in the bank’s awful handling of the HBOS compensation. Edmonds would likely accept a settlement that met his demands if the situation arose, but the opportunity to examine the inherent culture of this massive bank would be more beneficial for society; whether that comes to pass is a different story entirely.